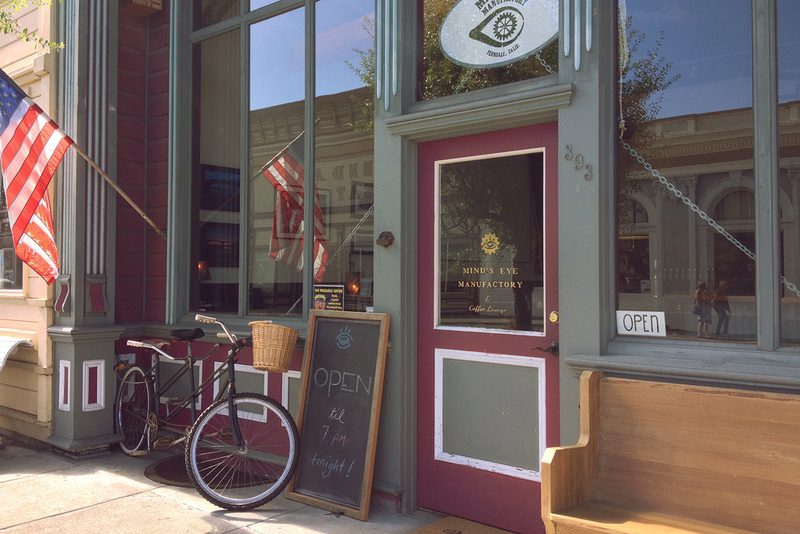 Mind's Eye is a woodworking MakerSpace attached to a third-wave coffee lounge and tea room, where ideas can be brewed and brought to life under one roof. We brew organic espresso and pour-over single-origin coffee roasted by our neighbors at Humboldt Bay Coffee Company, with occasional offerings from some of Northern California's other expert micro-roasters. Our wide variety of loose-leaf teas and tisanes are carefully chosen, and each pot is steeped with detailed consideration. The spices for our Chai are ground in-house, we bake our pastries just down the block, and feature teapots and cups by local ceramics master Conrad Calimpong. Come sit by our fireplace, read the paper or a book from our shelf (just please don't take them away! ), or be productive via our free Wi-Fi. Enjoy a cup, and have an idea or two! When Manufactory founders Marc and Leah Daniels and singer-songwriter Johnny Houx would chat on the street, the conversation inevitably turned to the same idea: Ferndale needed a coffee house; someplace one could expect expertly-pulled espresso, sit to sip truly transcendent tea, and to brainstorm with friends into the night. The three set to work, the idea became reality (as things tend to do at Mind's Eye), and in 2015 the Manufactory's transformed front gallery re-opened as MIND'S EYE COFFEE LOUNGE.